Having Google Drive issues or encountered a Google Drive error? In our guide we’ll walk you through a number of the common Google Drive problems and six of the best methods to solve them, so you can get your account back up and running as soon as possible. There’s no telling when you might encounter a Google Drive error; the drive can be working perfectly one minute, only to be completely uncooperative the next. So, what can you do when Google Drive problems strike and leave you unable to access your account? Luckily, there are plenty of methods that you can use to restore Google Drive, and in our guide, we’re going to be covering a handful of the best. If you’ve encountered any of the common Google Drive issues, then we have six solutions that will help you to solve the problem and get back to using your account as normal. One Google Drive error that can’t be fixed is problems on Google’s side. Your first troubleshooting check should be to look at the status of Google Drive. You can check the status in G Suite Status Dashboard. You may be encountering problems with Google Drive due to a poor network connection. Checking your connection involves a simple two-step process. Step 1Open the ‘Settings’ page on your computer. 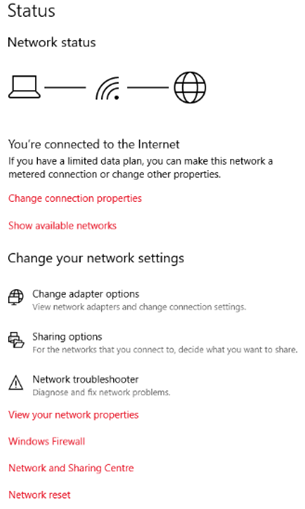 Step 2Select the ‘Network & Internet’ option. On this page, you’ll be able to see whether you’re connected to the internet. You can install the Google Docs offline extension on Chrome to save your files when you are connected to the Internet. 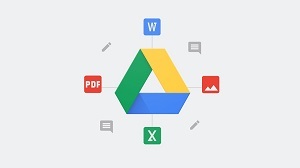 When all files are saved to your computer, you can view and edit your files as Google Docs, Google Sheets, and Google Slides offline. Besides, you can also set the sync setting on your Google Drive. Step 1 Enter your Google Drive on your browser > Click Settings in the top right. Step 2 Checkbox the option “Sync Google Docs, Sheets, Slides & Drawings files to this computer so that you can edit offline.” > Click Done to save your Google Drive settings. Step 3 Then you can edit your files in Google Drive even with no Internet connection. 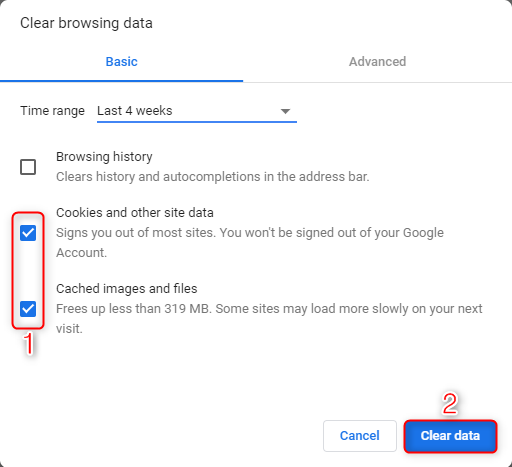 Clearing your cache and cookies is a great way to solve a number of common problems, including Google Drive issues. Step 1 Select the three-dot icon in the top right of your browser window > Click ‘More tools’ > Select ‘Clear browsing data’. Step 2 Select ‘Cookies and other site data’ and ‘Cached images and files’ > Click on ‘Clear data’ button. Step 1 Click on the three-dot icon in the top right of your browser window. 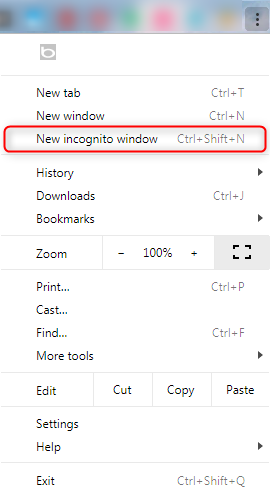 Step 2 Select ‘New incognito window’ on Chrome, or ‘New InPrivate window’ on Internet Explorer. 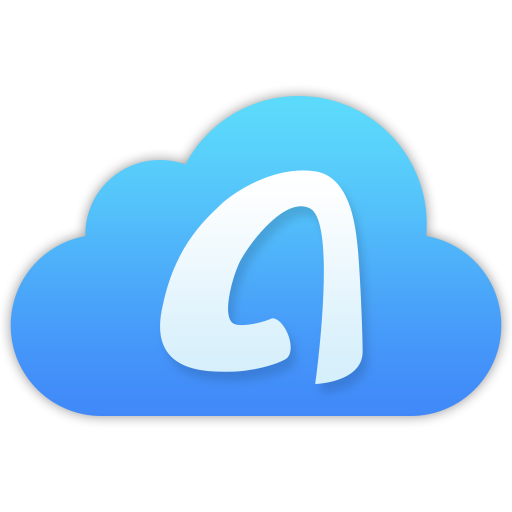 Making sure that your Google Drive account is up to date will help to prevent many common Google Drive problems from occurring. Just go to the official website of Google Drive, download the latest version of ‘Backup and Sync’. Then you can have a check whether the Google Drive problem still exists or not. Google Drive problems, big and small, can be a hassle to deal with when you’re trying to work or store your files online. 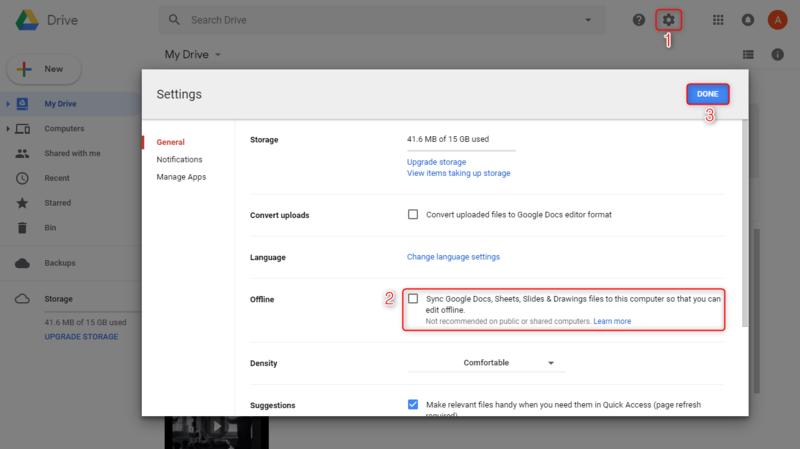 With our six handy solutions to the common Google Drive problems, you can always make sure that you’re on top of issues when and if they occur.